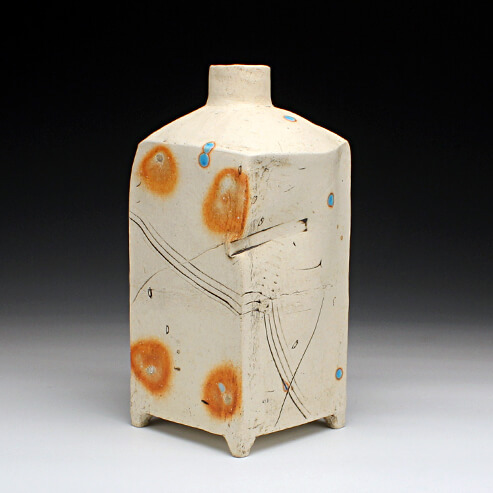 Koichi Yamamoto is a ceramist in Kumamoto, Japan. He opened his studio in Kumamoto city. He studied under Carlo Zauli at tha Ceramic Shool of Faenza, Italy (1975-76). He studied under Jiro Kajiwara in Koishiwara Fukuoka (1972-74). He graduated the Department of technology in Kumamoto University (1972).